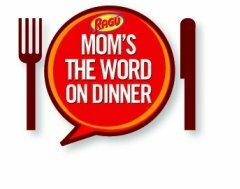 Being Frugal and Making It Work: Ragu's Momversation TONIGHT at 8PM EST: What do you do when dinnertime gets tough? Ragu's Momversation TONIGHT at 8PM EST: What do you do when dinnertime gets tough? As a busy stay-at-home-mom of two young children I know how hectic and busy the day can get. I also know that time gets away from you and things that are suppose to be easy can become tough and frustrating! By sharing this information I am eligible to win 1 of 6 gift cards from One2One Network!